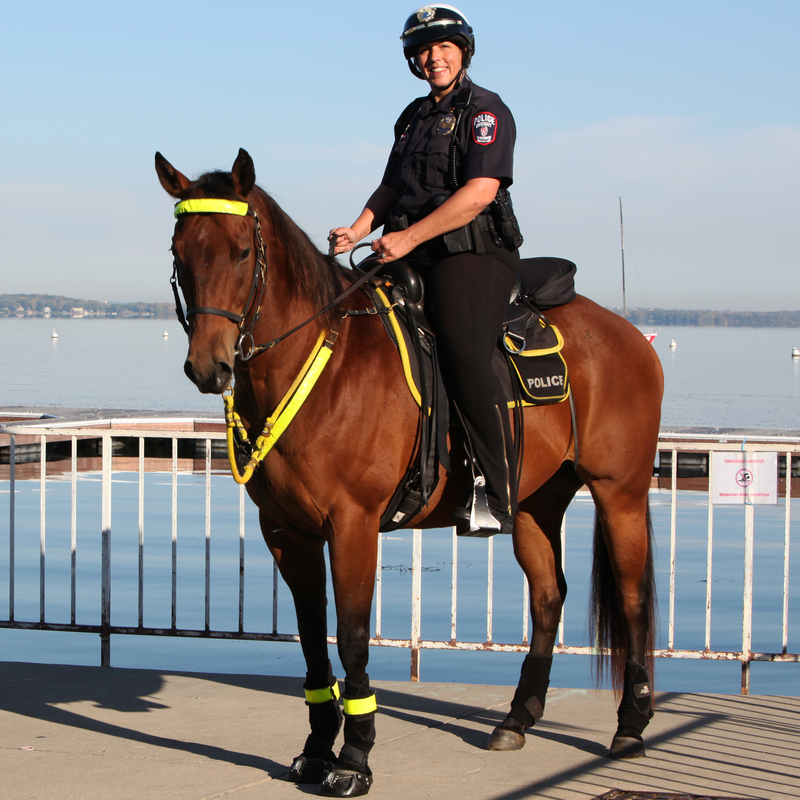 The UW-Madison Police Department is saddened to announce the passing of its police horse, Vegas. 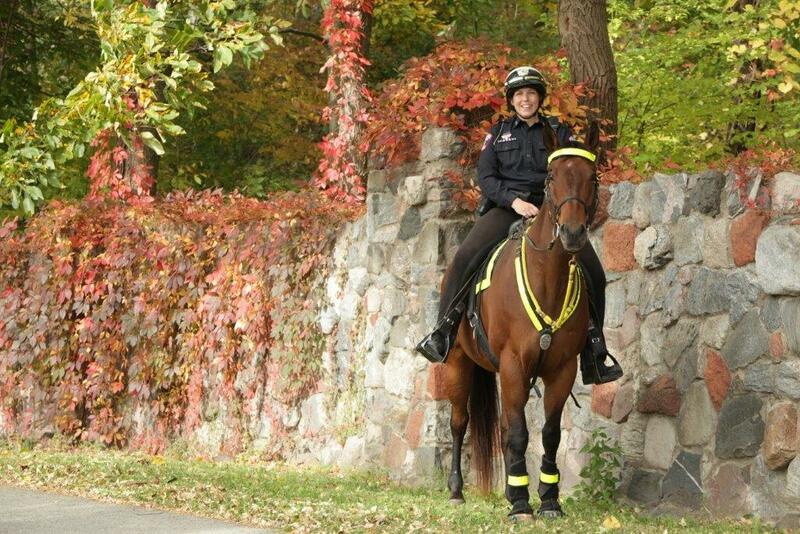 Vegas started at UWPD in 2005. He is a 2001 Appendix Quarter Horse gelding, meaning he is part Thoroughbred and part Quarter Horse. His registered name is “Counting Coins,” but he’s well-known in our community as Vegas. Vegas was a critical part of safety and security on the UW-Madison campus for the last 12 years – you probably saw him at Badger Football games or other large events in the community with big crowds. Crowd control was Vegas’ specialty – working his way through seas of people to ensure everyone’s safety. While Vegas took his work very seriously, he loved people and was one of the most gentle 1,300 pound creatures you’ve ever met. In the summer of 2015, Vegas was diagnosed with Degenerative Suspensory Ligament Disease. It affected Vegas’ ability to use his hind legs, causing lots of pain. The disease is incurable – there were no treatment options for Vegas. He worked a few times in 2015 and 2016, but it was very evident to his rider, Asst. Chief Kari Sasso, that continuing to work was not an option for Vegas any longer. With the expert care of the UW-Madison School of Veterinary Medicine, Vegas was put down on Tuesday, January 10, 2017. View photos from UWPD’s farewell and final salute to Vegas. It’s often said that animals become part of your family – and that was no different with Vegas, as he was a huge part of the UWPD family. However, Vegas was an even bigger part of Asst. Chief Sasso’s family — our hearts are heavy for them because of this devastating loss. Our thoughts and prayers are with Asst. Chief Sasso and her family during this very difficult time. Asst. Chief Sasso would like to thank the UW-Madison School of Veterinary Medicine for their incredible care and compassion during this very difficult time. She would also like to thank the community for their well wishes over the last year, and Vienna Equestrian for the care they provided Vegas through his life. If you have condolences you’d like to share, please send them to uwpolice@mhub.uwpd.wisc.edu and we’ll make sure Asst. Chief Sasso receives your message. Final arrangements for Vegas are still pending.